Who needs a bland, hometown wedding when you can experience an unforgettable destination wedding? Whether you’re reciting your vows in a neighboring state or off in a completely different country, you’re going to need a destination wedding planner on board to manage all the details. On your special day, you can either be the planner or the bride – it’s difficult to be both. So, we decided to put together a small list of tips to help you choose the right wedding planner. Hopefully the concept of a ‘wedding budget’ is not foreign to you, because you’re going to need one. It’s VERY important to know how much you’re willing to pay for a planner – that way you can start managing your budget once it’s all set and done. Just keep in mind this person (or team) will in charge of your magical day, so don’t be shy about allocating some funds here. Once you find a destination wedding planner that fits your budget, you can start to enjoy the fun parts of a destination wedding! 2.) Wedding Venue Package Deals? It’s best to find a wedding venue that can include a planner in their package. These special offers are a huge money saver – plus what’s better than having a planner who knows the venue inside & out? Luckily for you, Sugar Hollow Retreat is one of the few wedding venues that covers the fees of a wedding planner and only charges a flat rate. Since we specialize in destination weddings, it only makes sense that we offer our guest a destination wedding planner when they choose us. As we’ve stated, finding a good destination wedding planner is one of the most crucial parts of your special day. It’s important to filter your planners based on the kinds of weddings they have done, types of families they have handled, and wedding venues they have decorated. Do your research! Compile a short list (your starting five) of your top wedding planners and start reading reviews. 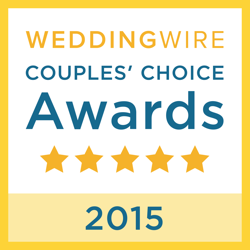 In this day and age, it’s much easier to just go online and sift through some WeddingWire reviews. It’s crucial to meet or at least speak face-to-face with you destination wedding planner before you put down any form of deposit. You must make sure you trust and feel comfortable with this person (or team) organizing your momentous occasion. We recommend curating a small list of specific question to ask while you’re speaking with them. It’s also the best time to learn about their experience and discuss your budget. Hiring a destination wedding planner can be as big as the wedding itself, so it’s probably a good idea to run it by your future hubby/wifey. Be sure to discuss your budget and if possible, work together to pick out the right planner for your wedding. Now that you have some tips on hiring your wedding planner, it’s time to book your dream venue. Sugar Hollow provides everything you need to host a breathtaking wedding. Equipped with 300 acres of pristine wildlife and cozy accommodations, it’s all the room you need to have a spectacular time!